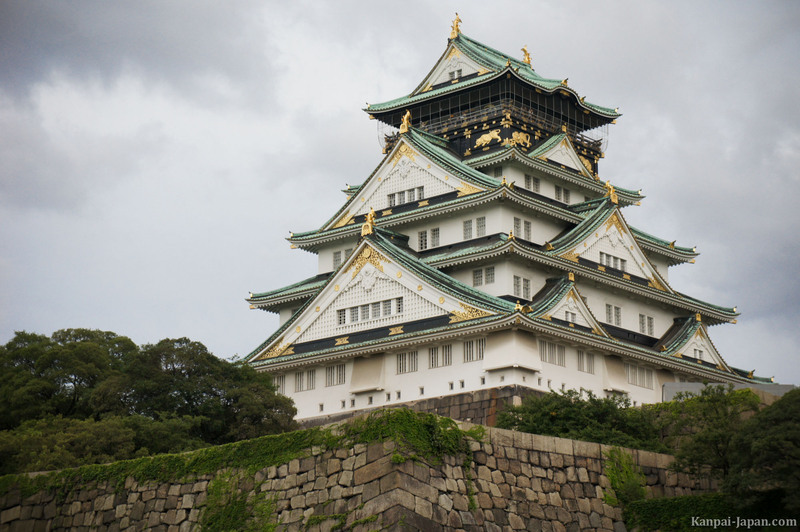 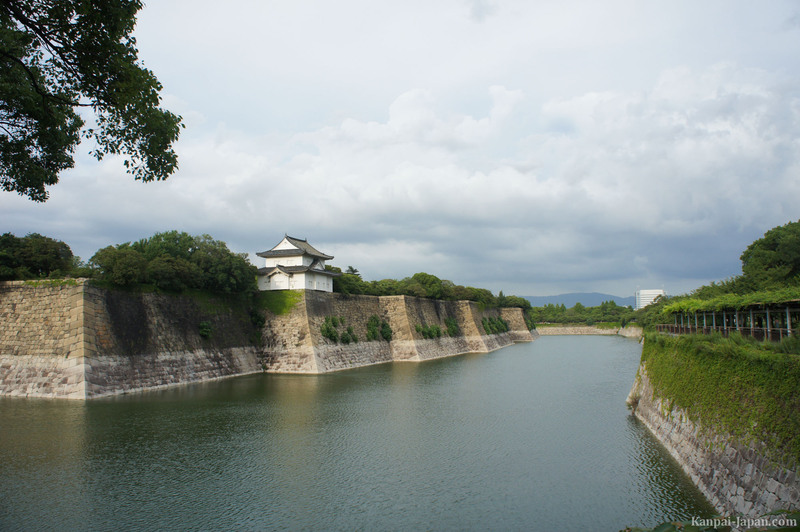 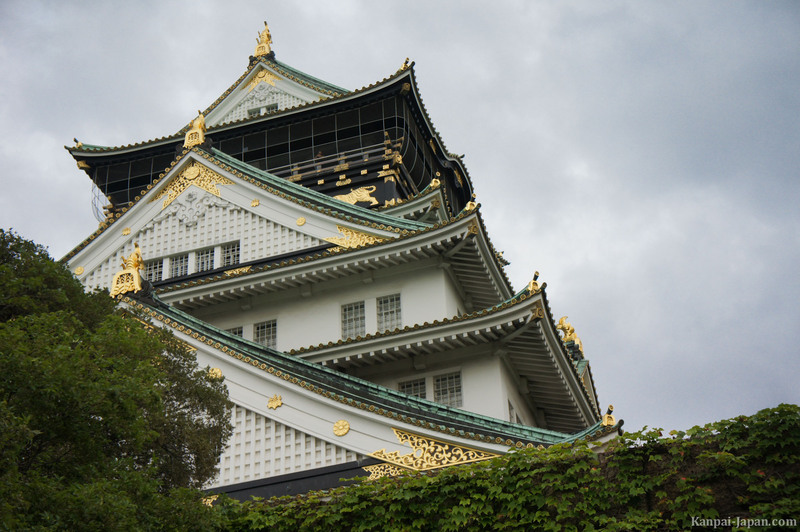 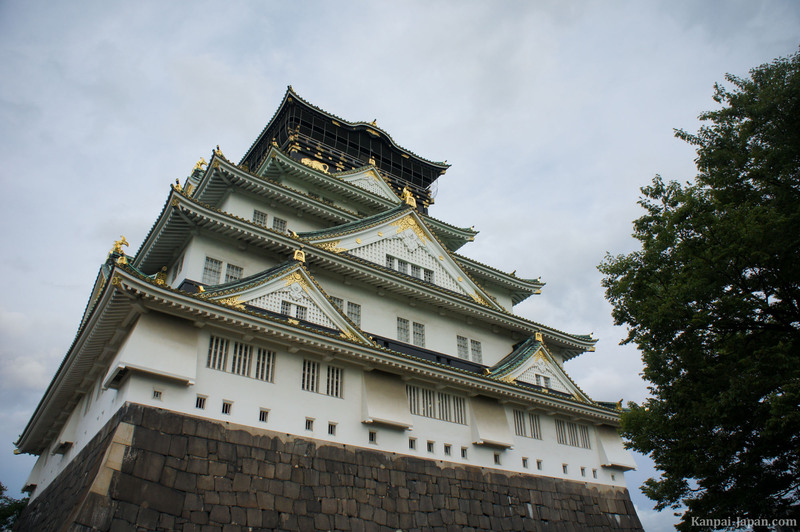 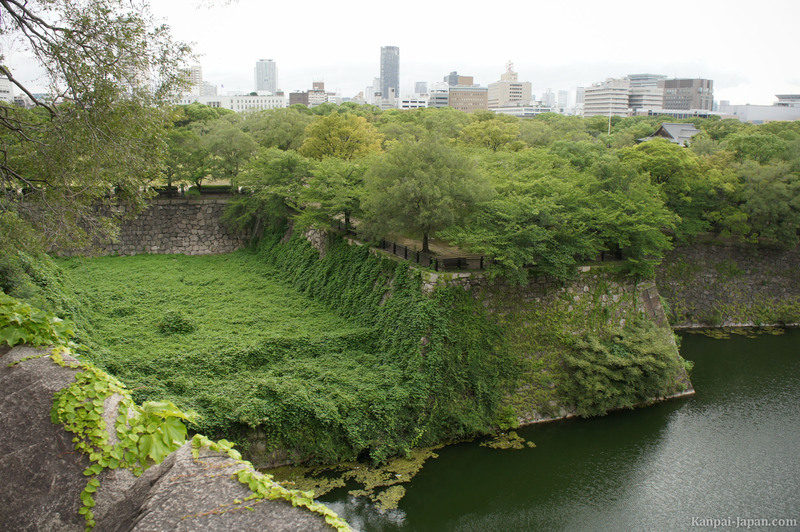 Like many castles in Japan, Osaka-jô (Osaka Castle) was rebuilt several times. 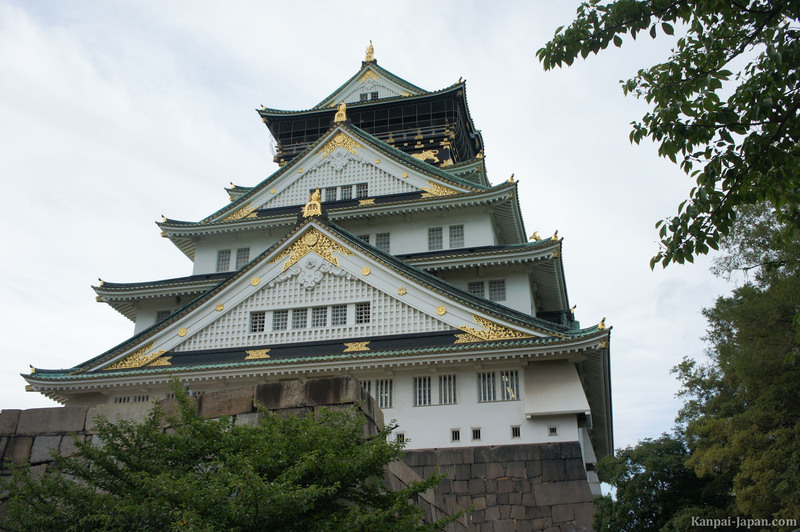 Created during the 16th century, the last rebuilding of Osaka castle was in 1997 and its inside now has all modern conveniences. 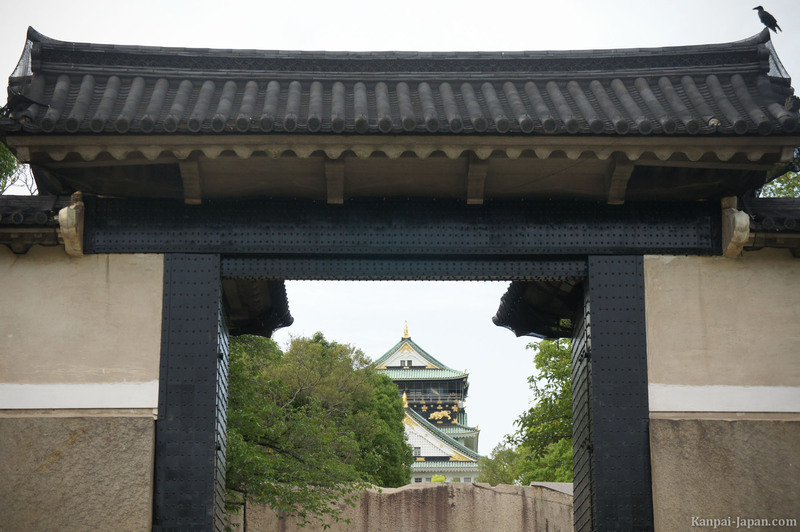 This is what explains this very modern glass railing, just next to the castle (see pictures below), which is an access for disabled people. 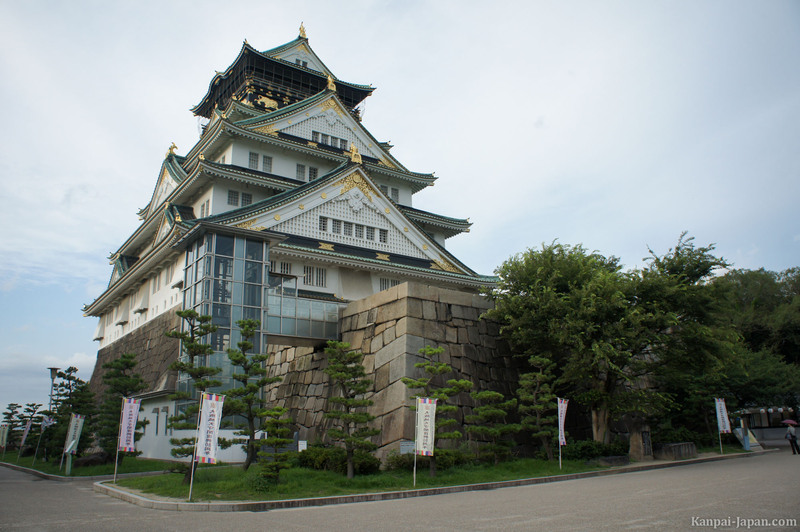 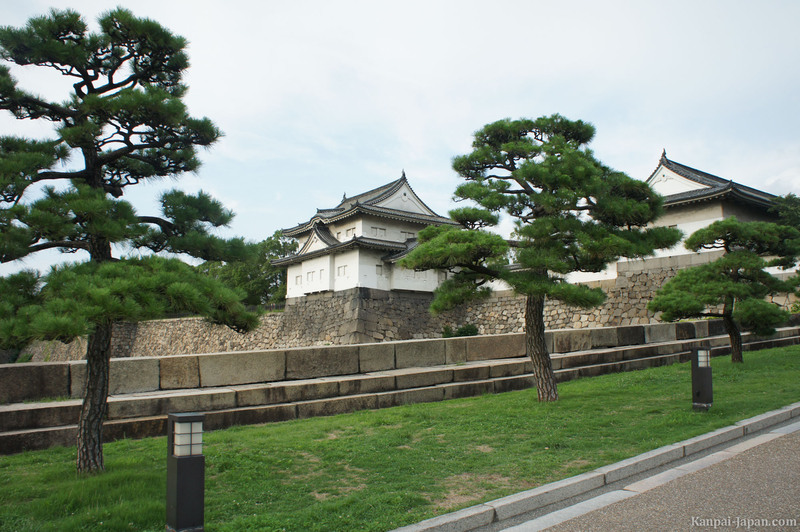 The inside of Osaka castle contains a museum about its history and the city's history during Edo period. 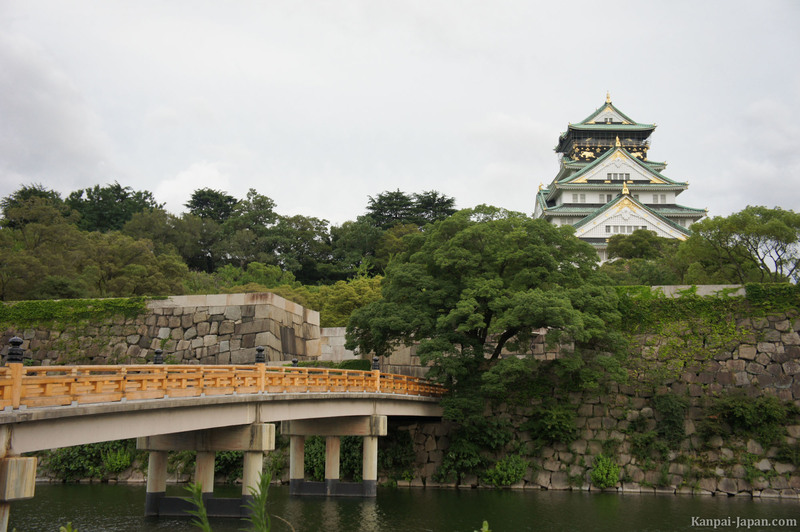 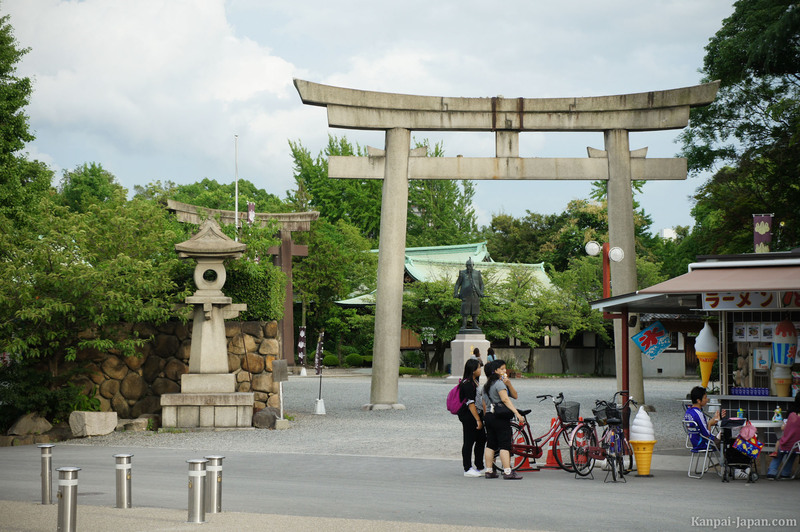 The walk around Osaka Castle is very pleasant as its park is quite extensive and provides a green lung, east of this highly urbanized city. 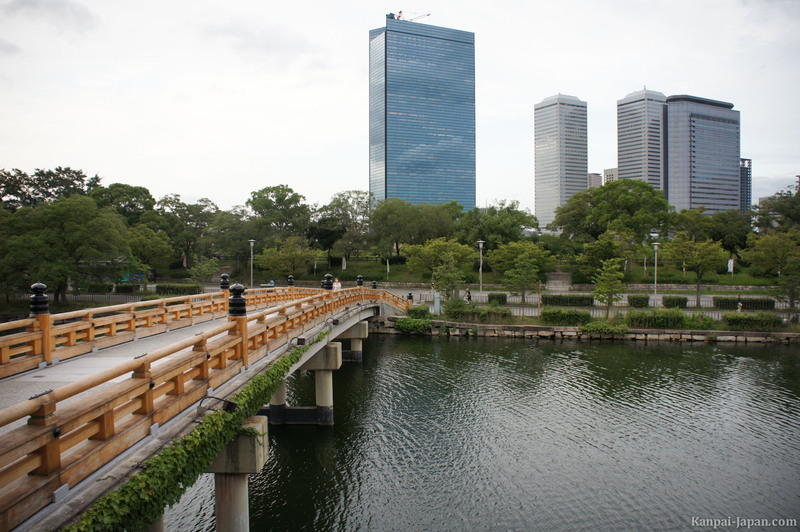 Thus, this large park acts as a sort of Central Park for the people of Osaka, which come to run or take a long walk with their dog.